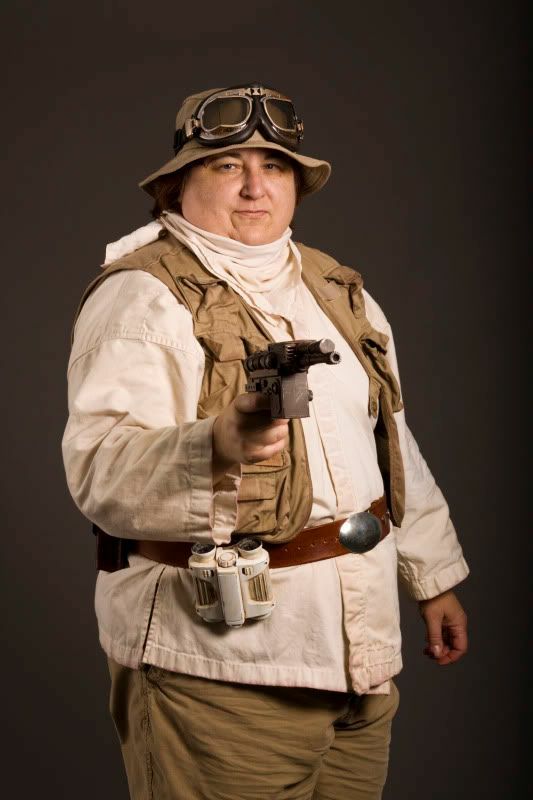 Always a loner, Zeela didn't mind living alone with her pet massiffs who guarded her land and kept down the vermin and pest population in her homestead. 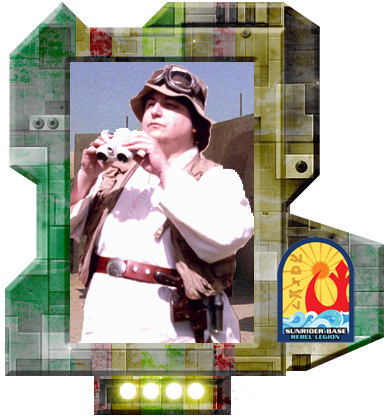 They also enjoyed helping her hunt for dune boars and nunas. 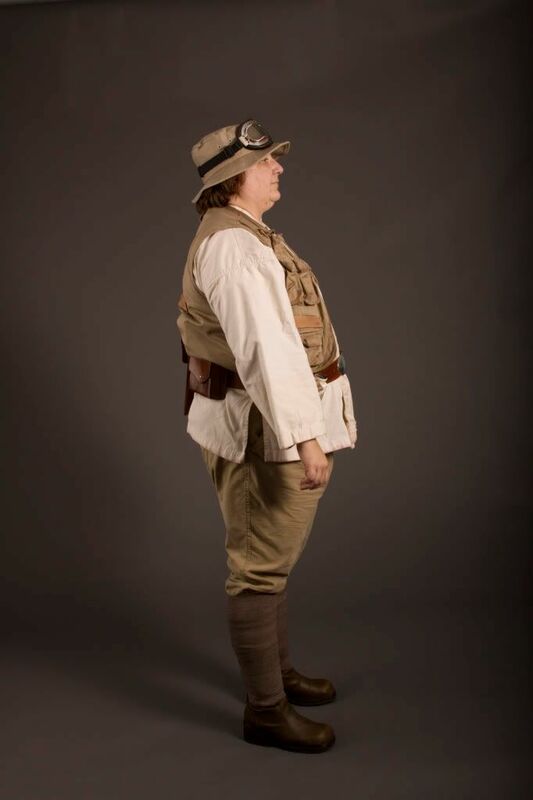 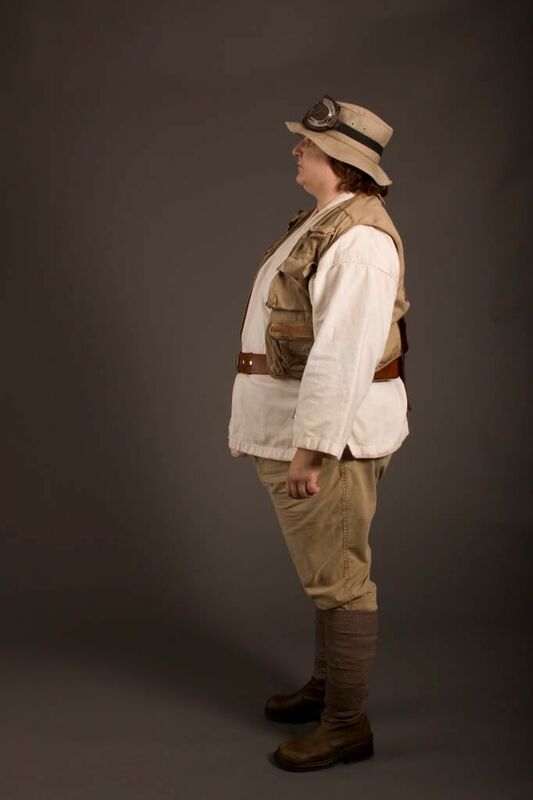 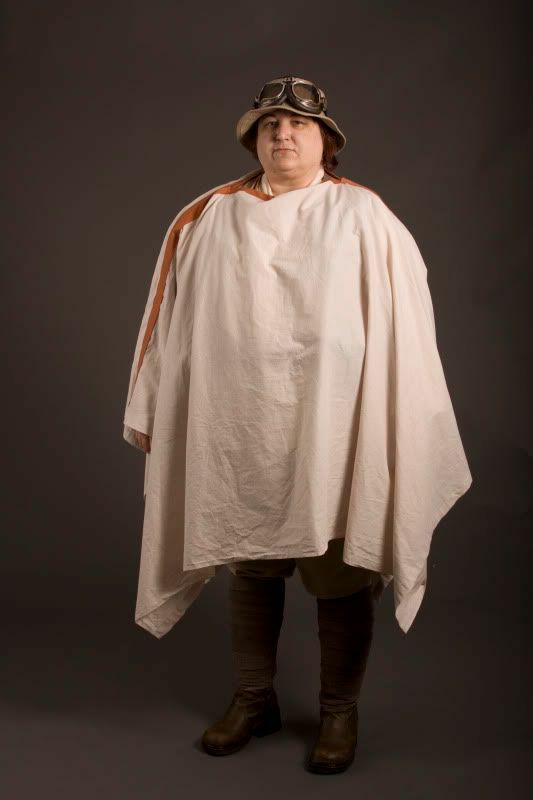 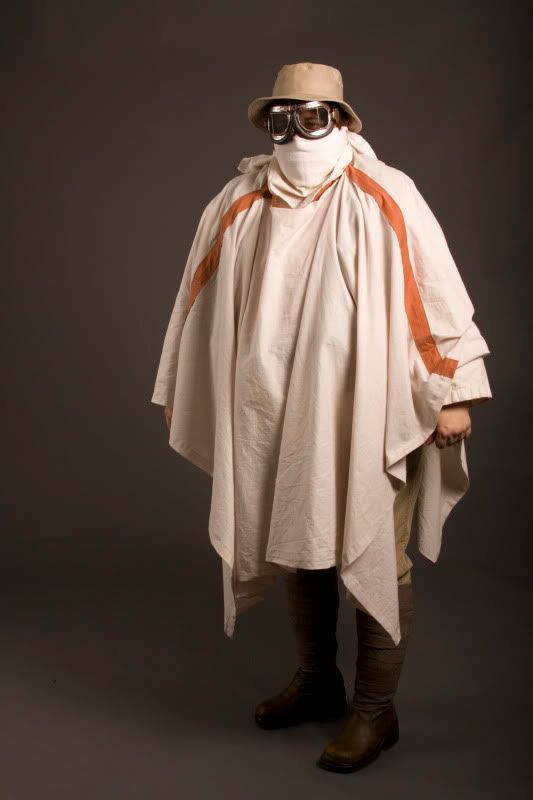 Costume consists of brown boots, brown leg wraps, khaki pants, beige tunic, khaki multi-pocket vest, khaki brimmed had and goggles. 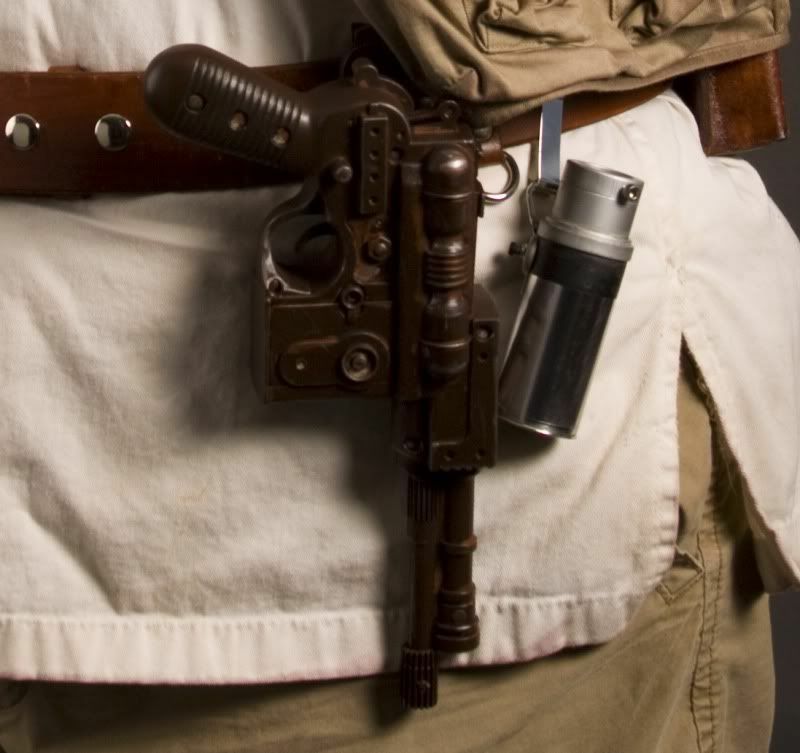 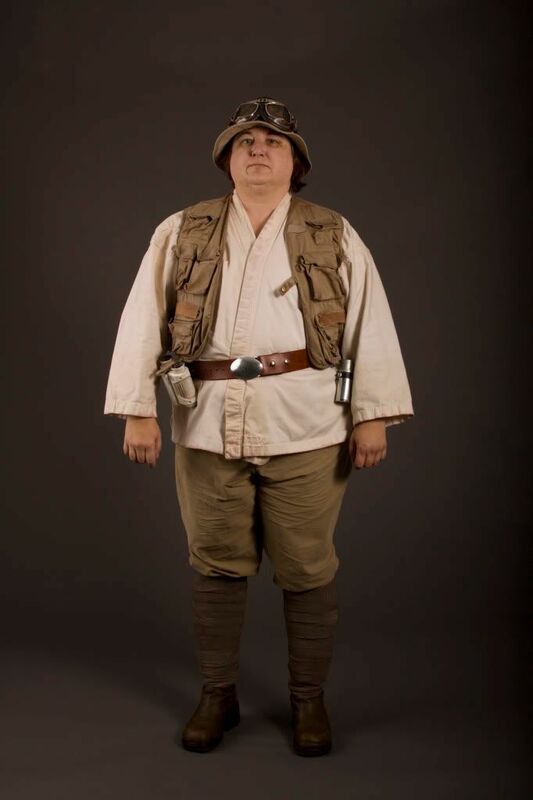 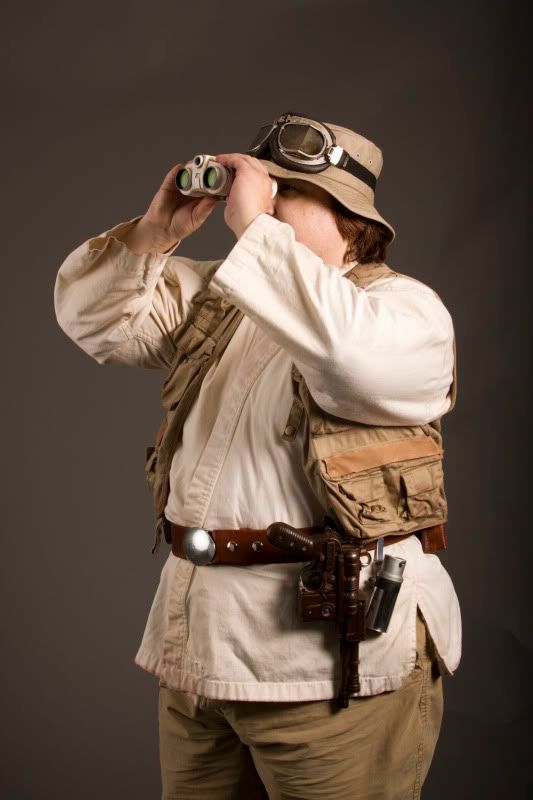 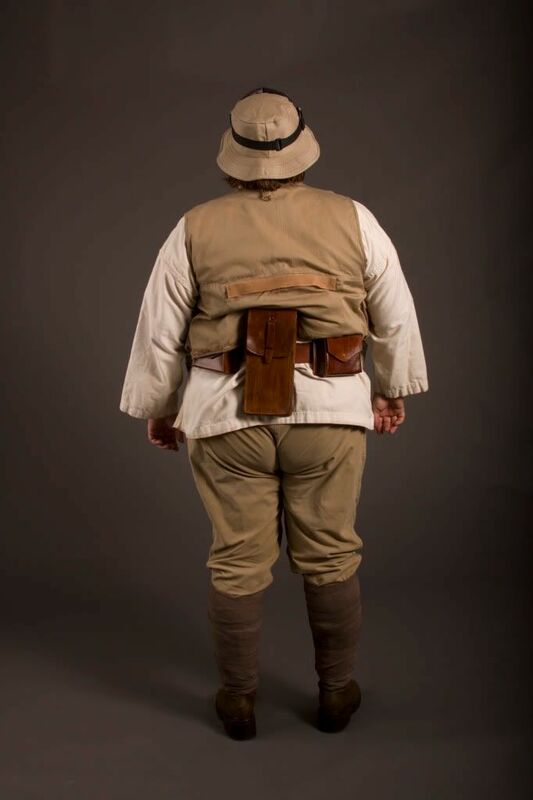 Brown belt has 2 square pouches, one large pouch, blaster, droid caller and electro-binoculars.